There's one key reason why the GoPro name has become synonymous with the compact action camera: the GoPro devices are brilliant bits of kit. The competitors from Sony, Toshiba and others don't do anything wrong, but the GoPro does everything right. The Hero 3+ Black Edition is the top of the range, offering the best quality video, the most extras and the highest price – as well as the camera itself you get the waterproofing casing and the Wi-Fi remote for your £359.99. The Silver Edition offers a reduced range of video recording formats for £80 less, while the older Hero 3 model remains on sale for £199.99. As the camera appears on helmets, dashboards and drones, the compact box design of the GoPro has now become almost as iconic as the iPhone, and the latest 3+ Black Edition is 30% smaller and 25% lighter than its predecessor. The lack of a built-in viewfinder can be a problem – if you have to frame scenes precisely then the viewfinder add-on or smartphone app is handy – but the small monochrome display is clear and concise and you'll soon get to learn the button presses that set up the modes and start the recordings. It's the compact 42 x 60 x 30mm dimensions and light weight that are most important, letting you fix the camera to almost everything – one curved and one flat adhesive mount are included, together with a three-way pivot arm, but you'll need to bring your own microSD card. From WVGA (800 x 480 pixels) at 240 frames-per-second to a huge 4K (3840 x 2160 pixels) at 15 frames-per-second, the Hero 3+ Black Edition can squeeze some serious professional-quality footage from its tiny innards. The 4K level is too choppy to really be of use, but at lower settings you get both high definition resolutions and smooth, fluid playback – it really is like having a broadcast-quality video camera in your pocket. The 1080p (1920 x 1080 pixels) resolution at 24-60fps is perhaps the sweet spot where most users are going to be spending their time, and the ultra wide, medium and narrow FOV (Field Of View) modes add to the unit's flexibility. The GoPro is thought of primarily as a miniature camcorder, but it's capable of producing some stunning still images as well. The 12-megapixel snaps look as crisp and as vibrant as the moving pictures captured by the device, and there are a variety of alternative modes to play around with – burst photo, continuous photo and time lapse. There's also an option to record videos and take photos simultaneously. Pictures look clean and sharp in most scenarios, though low light conditions can be a problem. Still, the GoPro can comfortably beat your smartphone for image quality and keep pace with most dedicated compacts, even if it's not quite as convenient to use. The only complaints you could level at the GoPro Hero 3+ Black Edition are that there's too much power and functionality here for casual users and not enough for professional filmmakers. However, even for these two groups and for everyone else in between, the GoPro Hero 3+ Black Edition is a compelling device. Battery life could be improved, with 1-2 hours of constant use the norm, but the very few niggles are far outweighed by the positives, which include tons of accessories and the ability to fix the camera to just about anything. 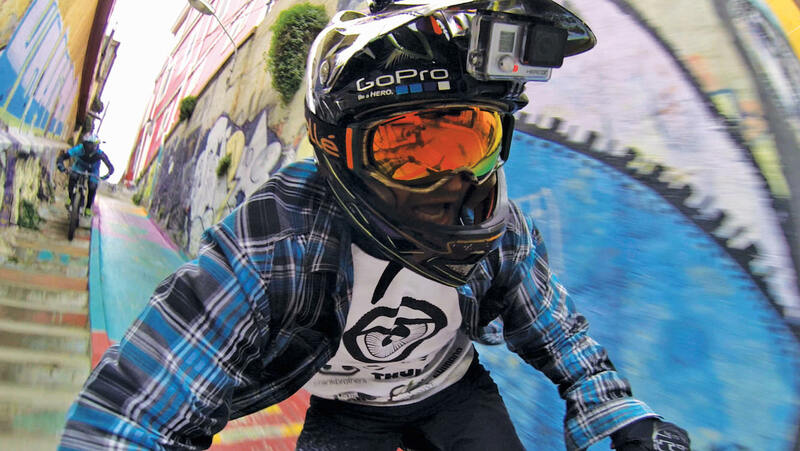 Offering stunning photos and videos from an implausibly small and light body, the GoPro Hero 3+ Black Edition is the gold standard of action cameras.